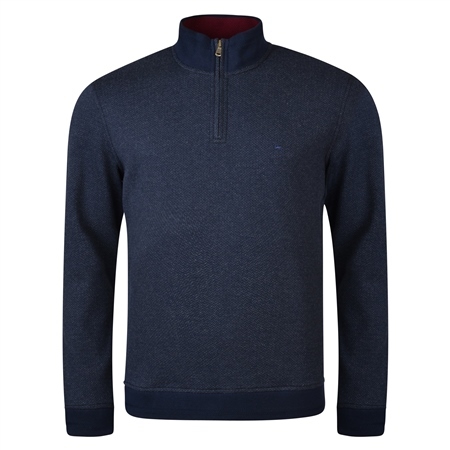 A contemporary classic fitting 1/4 zip sweater from our Autumn Winter knitwear collection, this sweater features a fashionable rib neck, hem and cuffs in a contrasting navy. Style with Grey Braid Washed Look Slim Fit Trousers. For further details on sizing please refer to our size guide or contact customer services.